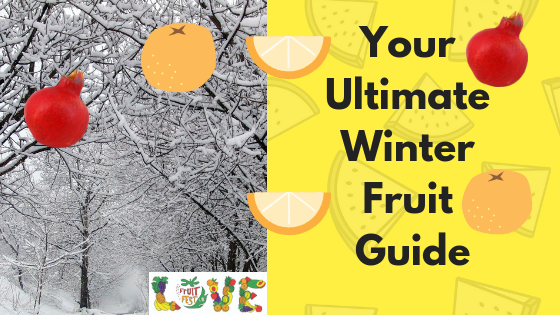 Women’s Health have just published an article called “Your Ultimate Winter Fruit Guide”. It goes through the 7 fruits that it recommends as being the best during the winter season. Our commments: Citrus in general comes into season in winter and oranges are part of that. How they have worked out there is less sugar in an unjuiced orange is unclear as juicing does not create sugar! For some people, pairing orange with pistachio would not be a perfect combination. We would suggest you eat oranges as a monomeal or mono snack as they are perfect on their own. Our comments: Who eats cans of pears?! Calling a fruit a great source of fibre always seems like an unusual understatement. Pears are a delicious and calorie dense fruit that are pretty underrated. Our comments: Cranberries are a huge industry in the US partly because of it’s use as a sauce during the holidays. In recent years it has been connected with anti-Cancer properties which have helped to launch a large cranberry juice industry also. However, Cranberries are virtually unedible raw and generally are sweetened with sugar. Not an ideal winter fruit but better than nothing if cranberry sauce is the only fruit you get all year! The article says: Pomegranates provide a healthy dose of antioxidants, which can protect your bod from free-radical damage that’s linked to signs of aging and disease, Zarlengo says. The winter fruit is also high in fiber and potassium. And they taste amazing whether you’re enjoying the juice or the arils (the edible seeds inside the fruit). Our comments: Virtually every comment here can be applied to all fruits. These benefits are not unique to the pomegranate. However if this convinces people to eat more pomegranates then that is excellent. The article says: These delicious sugary-sweet winter fruits are “packed with a lot of different vitamins and minerals for a multitude of health benefits,” says Zarlengo. Specifically, a review from the journal Advances in Horticultural Science says persimmons have a high level of antioxidants that may help reduce the risk of cardiovascular disease (although more research is needed on that front). Our comments: Truly the king of winter fruit! A fruit that you can eat as your staple during winter if you choose. Makes a wonderful smoothie on its own but fantastic and very satisfying eaten alone. Once again, the benefits in the article can be attributed to all fruits. The article says: Grapefruits are high in nutrients like vitamin A and C, the antioxidant lycopene, and fiber—making it a great citrus alternative to oranges when you’re in the mood. But check with your doctor about eating them if you’re on antibiotics or another prescription med, as a compound in grapefruits has been known to interfere with certain drugs. 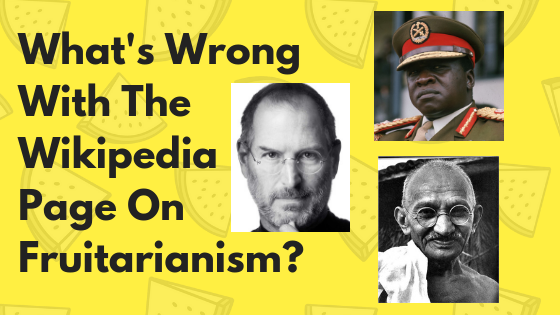 Our comments: Supposedly, it is true that Grapefruits can interfere with certain drugs. It is highly unlikely that Grapefruits were the cause of the problem leading to the drugs though. It’s very hard to get sweet grapefruit in the UK so it is very hard to make it a big part of your diet. Can be a great sharp addition to a juice or salad. All of these fruits are wonderful for winter, and many you can get all throughout the year. 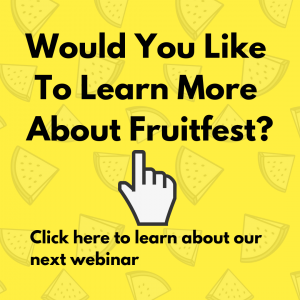 The benefits attributed to these fruits can virtually be connected to all fruits. 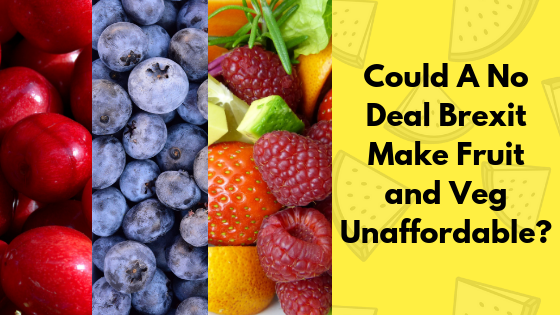 Various industries however have had the money to research the benefits of specific fruits and promote the outcomes of that research to create the impression that those benefits are only connected with that one fruit. 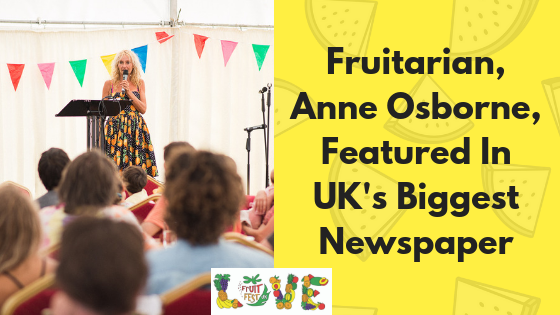 As we get more fruit from South America and South Africa and other places in the Southern Hemisphere we are getting better and better fruit all year round in the UK. If something looks good to you give it a taste even if it seems out of season. It may be perfectly in season from where it has come from. 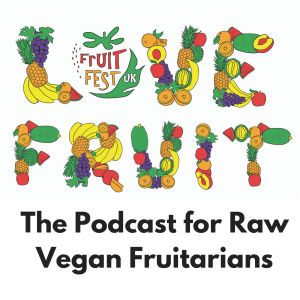 Last year, I interviewed Don Bennett, raw vegan speaker and author, about his thoughts on Cancer and a raw vegan diet. His views do not necessarily represent the views of the Fruitfest on this subject. This should not be taken as medical advice and you should always speak to your own doctor with any concerns you have regarding Cancer. Your outcome in life comes from your daily actions over a lifetime. These daily actions are determined by your habits. Your habits are yours to change or break. But it may require a lot of hard work. If you put that hard work in now, you will reap the benefits for the rest of a lifetime. Imagine how you will feel when taking care of yourself in the best way, all the time, is your habit. When eating fruits and vegetables is always your number one choice. Imagine if thinking positively, developing a good relationship with your self and never thinking unnecessary negative thoughts was your habit. Imagine if enjoyable and fun exercise helping you to get stronger, fitter and more energetic was your habit. Imagine if waking up everyday after a deep, long restful sleep was your habit. 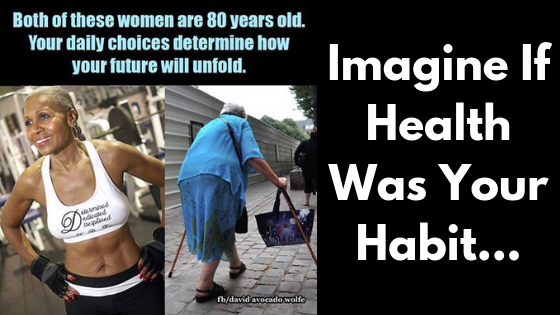 Imagine if eating unhealthy foods was no longer a choice, not even a thought. Imagine what it would be like to always have perfect digestion and never remember what it was like to be otherwise. Imagine being rid of so many headaches and aches and pains that are a result of our lifestyle choices and not bad luck or genetics. Imagine if you never had to take medication again. You have the control and the power to make these changes. They make take some discipline and some time but you CAN change. But the truth is…so many people fail. It is claimed that over 95% of people fail when they make an attempt of changing our diet. Has that been you? Have you experienced the initial enthusiasm at the start followed by a crash and a feeling of guilt when you were not able to keep the momentum going? Like so many people, did you not get any support from friends and family…in fact they expected you to fail…and maybe even tried to sabotage your efforts. Did you know that most people that try to lose weight….actually end up putting more weight on? These are some sad statistics. This is no wonder: the world around us is constantly telling us to CONSUME. Temptation is EVERYWHERE. Food is EVERYWHERE…. ….how can anyone stand a chance of changing their diet in this environment? On top of this, food companies are employing scientists to design foods that are more ADDICTIVE than ever before. Foods that you can’t stop eating! You have had this experience no doubt. In this world, how can we possibly reach our goal of being vibrantly healthy every day and live our best possible life? Firstly we need the right information. But what is the RIGHT information. And do you have the years of study, research and travel that it may take to find this information? And once you get that information…will you be able to take action on it? This is the hardest part and where most people fail. 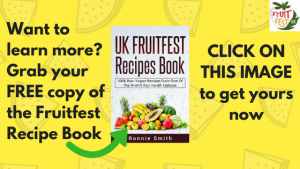 On Thursday 18th of October founder of the UK Fruitfest, Ronnie Smith, will be launching a brand new coaching programme. This is a completely new approach to health coaching that you may not have seen before. It’s not just a Q and A session and a bit of motivation over Skype. This is programme designed to get you results. If you are interested in finding out more information you can register by clicking the link below. 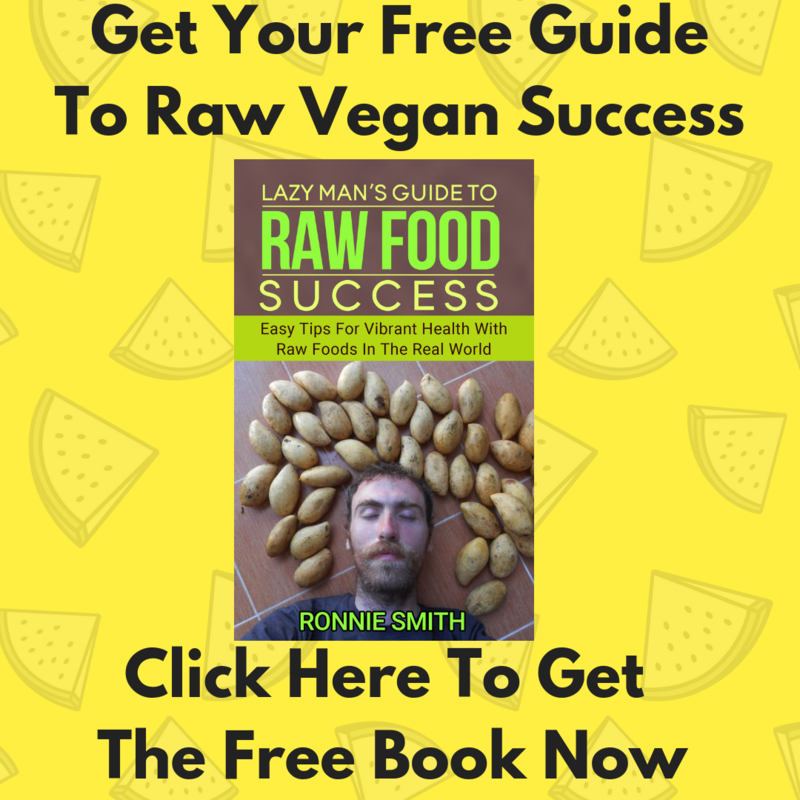 He will also be giving a FREE webinar tomorrow (16th of October 2018) at 7pm on the topic of the Fundamental Principles Of Success of A Raw Vegan Diet. Make the rest of your life, the best of your life. It’s time to make changes that will last a lifetime. Reach forward towards a positive and vibrant future with a raw vegan diet and healthful lifestyle. 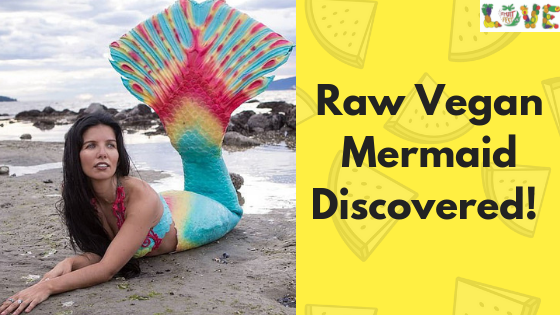 In the raw food community, a lot of misinformation has been spread over the years. One of the main people that has worked to clear up some of these misguided ideas is Dr Doug Graham. We often hear people talk about “detoxing” about “cleansing” about getting rid of the toxins and junk inside them. 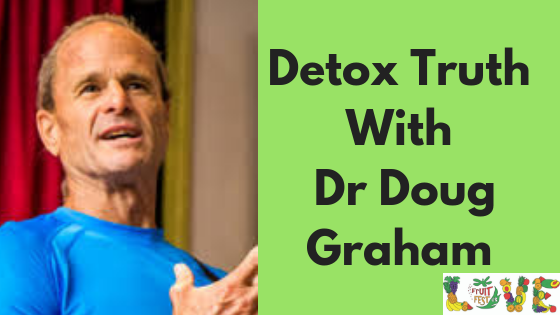 In this video, Dr Graham points out that we can never rid ourselves fully of toxaemia. But if our level of toxaemia is below the toleration level then symptons will not arise. 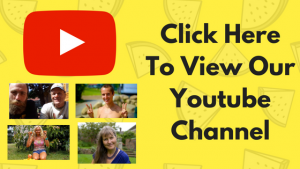 Feel free to share a comment on the video and share it with others. You can find more about Dr Doug Graham at foodnsport.com or you search for the articles and videos with him on this site.